RICE SHEILA Passed away peacefully at home surrounded by her family on January 27th, 2019, aged 68 years. Dearest partner of John Perry Porter, loving mum of Kim, Christopher, Tracy, Martin, Kerry and Jamie, a treasured nanny, great-nanny, sister, auntie and friend. A service to celebrate her life will take place on Thursday, February 14th, 2019 at 11 a.m. at St Peter and St John's Church, Kirkley, followed by committal at Kirkley Cemetery. 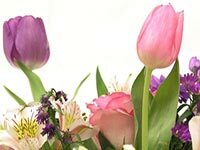 Family flowers only please, donations if desired for the Louise Hamilton Centre (made payable to Palliative Care East) may be sent to Gordon Barber Funeral Home, 13 Carlton Road, Lowestoft, NR33 0RU. Tel. (01502) 573632.